5 Gold medalist, Russia's Arina Averina performs with her ball in Papp Laszlo Arena of Budapest, Hungary, during the apparatus final day of 33rd European Rythmic Gymnastic Championships. 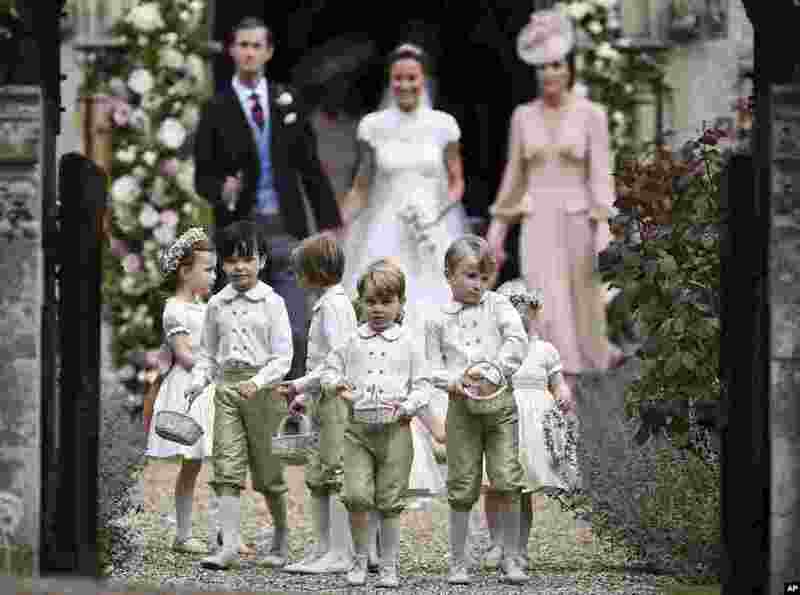 6 Britain's Prince George, foreground center, reacts after the wedding of his aunt, Pippa Middleton to Hedge Fund manager James Matthews, at St Mark's Church in Englefield, England, May 20, 2017. 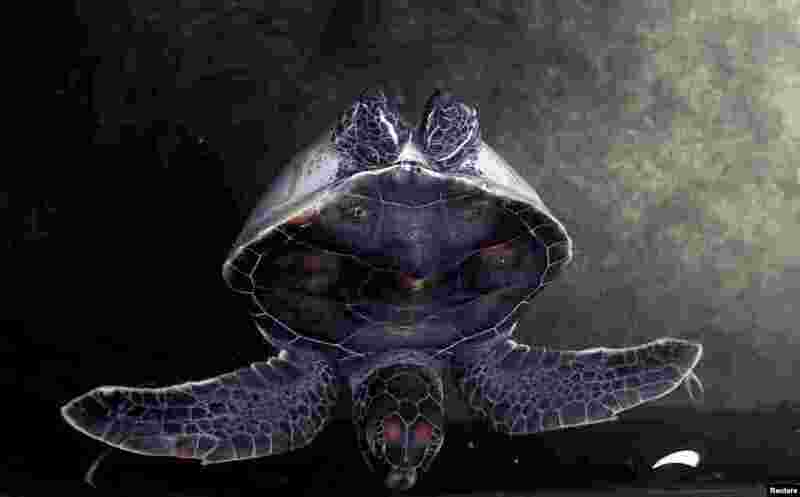 7 A disabled turtle swims in a tank at a turtles hatchery in Galle, Sri Lanka.